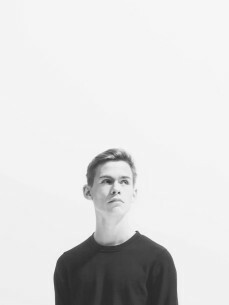 Electronic music artist WRLD might only have just recently graduated high school, but don’t let his youthful demeanor fool you for one second. WRLD, also known as David Lawson, produces with the musical versatility of a seasoned veteran, skillfully merging electronic with dance and pop. WRLD kicked off a fruitful partnership with Vancouver based record label Monstercat with successful singles ‘Triumph’, ‘You & Me’ with Laszlo and then ‘Orbit (feat. Richard Caddock)’ in 2014, both featuring on Monstercat’s 018 - Frontier compilation. He also cemented himself as a part of the ever-growing online SoundCloud collective Moving Castle with an appearance on their third compilation. Off to an incredible start, 2015 was about developing that momentum and expanding on his signature bright and progressive sound. WRLD continued his string of hits on Monstercat while exploring his own unique sound through the ‘Chase It EP’. Chase It saw WRLD navigate between future bass, indie dance, and nu-disco with ease, crossing a million plays on SoundCloud and securing a #24 iTunes chart position. WRLD closed out a big 2015 with ‘Fighter’, a powerful vocoder driven single which demonstrated WRLD’s ever growing grasp of inspirations and techniques from across the electronic music spectrum. 2016 has seen the release of his most experimental record to date, the ‘Awake EP’ which established a more mature sound as testified by the leading record ‘Drowning (ft. Ehiorobo)’.